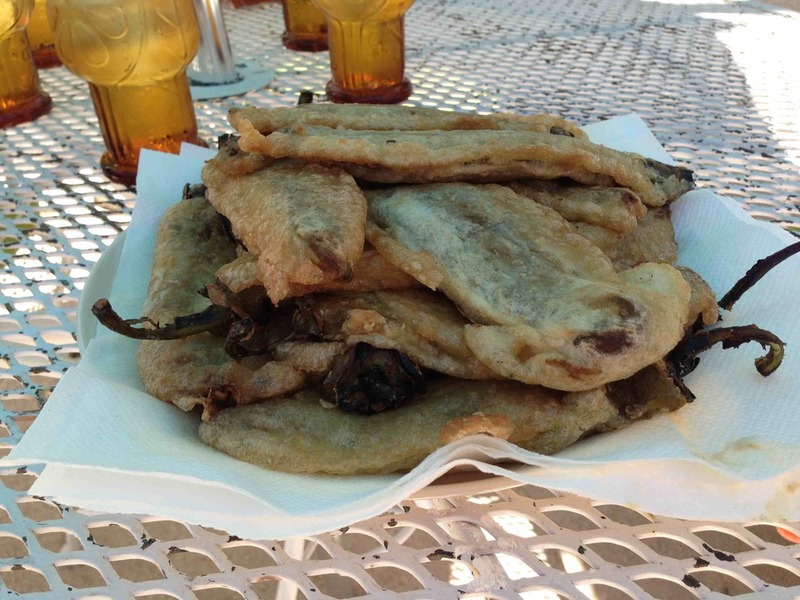 I failed miserably at making chile rellenos last winter. While I had been cooking up a storm of dishes IMG 2742I had learned when I lived in New Mexico to treat my suburban Chicago neighbors, the time that I made chile rellenos I missed a major step: beating the egg whites until they are fluffy. I'm not sure if the recipe I used even said to to do that. I simply dredged them in flour and then soaked them in beaten eggs. But after I moved back to Albuquerque my friend Veronica came to the rescue when she told me it's a dish she sometimes make, one that she learned in her native Mexico. We spent Saturday afternoon creating the steps below (complete with a short video!) 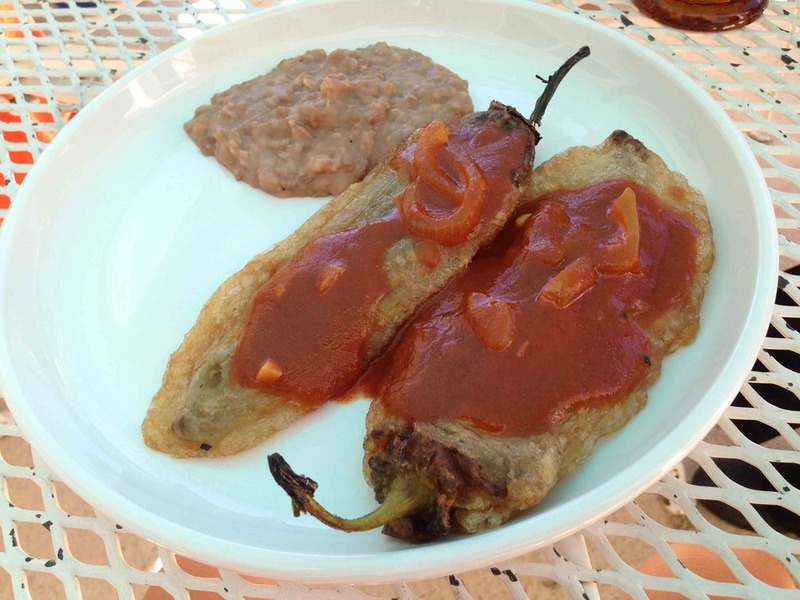 of how to make chile rellenos so you can avoid the embarrassment I endured several months ago. 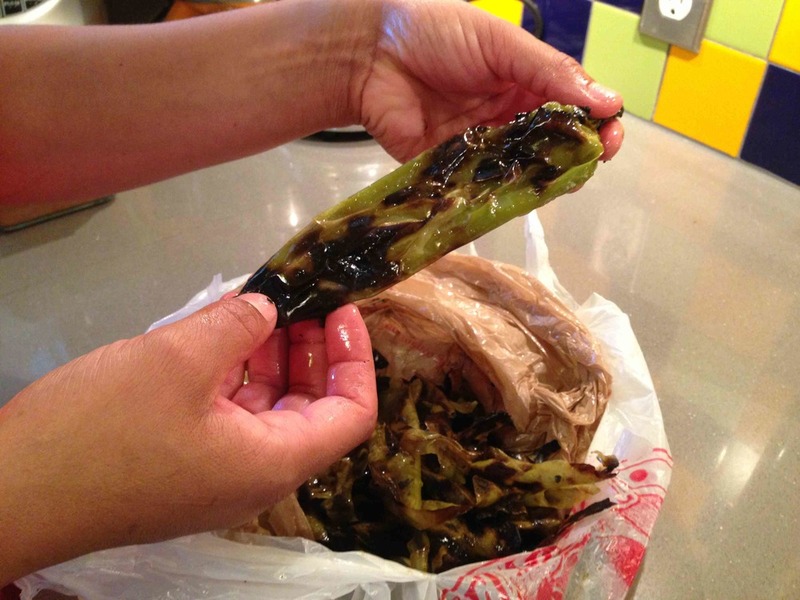 The chiles should be roasted on the grill or on a gas stove to remove the skins. Be careful not to IMG 2745touch your eye or any other sensitive part of the body during this process as the seeds are hot! After roasting, I run my chiles under cold water to remove the skins but Veronica slathers them in oil for the same outcome. 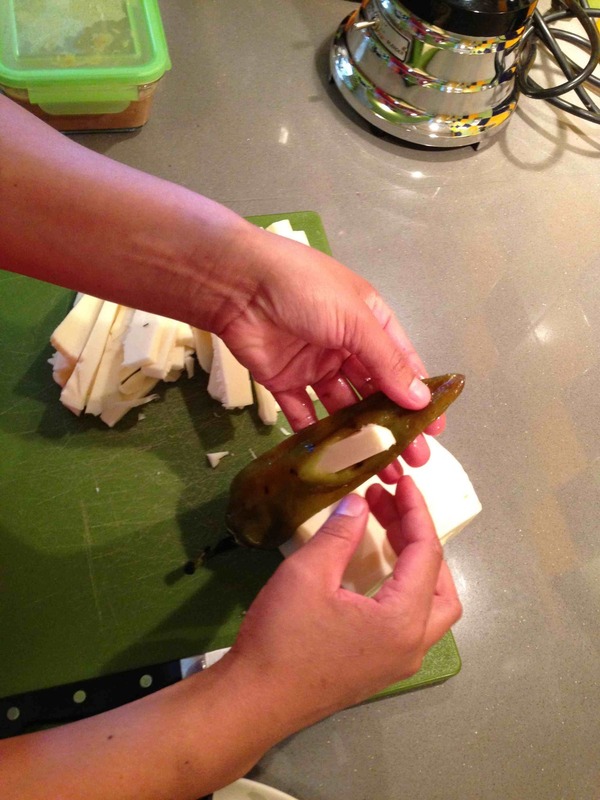 Once the chiles are cleaned, she put a small slice in them and slid a piece of cheese inside the chile. IMG 2748At this time, the tops of the chiles could be removed as well; the seeds can be hot for those you not used to this type of cooking! The key step (the one that I missed) came next. She mixed ten egg whites until they were fluffy, at the end adding back two yolks for color. 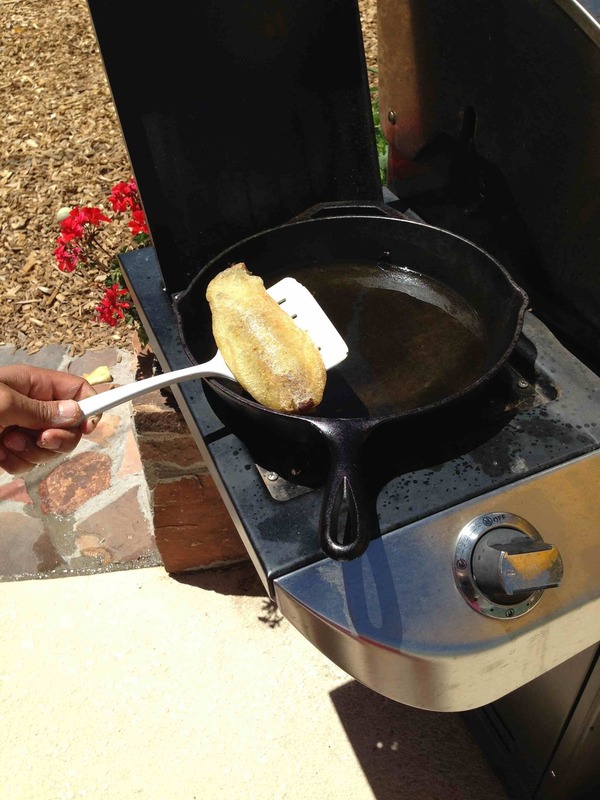 With the chiles stuffed, we moved outside where I placed a cast iron pan filled with oil (she chose olive oil) on the gas burner and heated it. Veronica had filled a plate with flour and she first dredged the chiles and then soaked them in the egg mixture before taking them to the grill. You must move quickly in this process before the egg mixture disintegrates. See the video for more instruction. The oil should be hot and the chiles covered as completely as possible. Fry them until they are brown, just a few minutes on each side and serve with a chile sauce or salsa. The salsa shown in the finished dish is sauteed onions, garlic, chipotle peppers, and tomato sauce.